Holding hands in public is a beautifully understated way for a couple to express their feelings for one another and present a united front of mutual commitment to the world. Whilst most of us take it for granted, for some issues of sexual orientation and cultural pressures make public hand holding a gesture loaded with anxiety. These are the issues explored by Israeli Director Yoav Brill in his animated documentary HORA. DN invited Yoav to share how a foundation of personal interviews built into this fascinating exploration of intimacy and societal expectations. 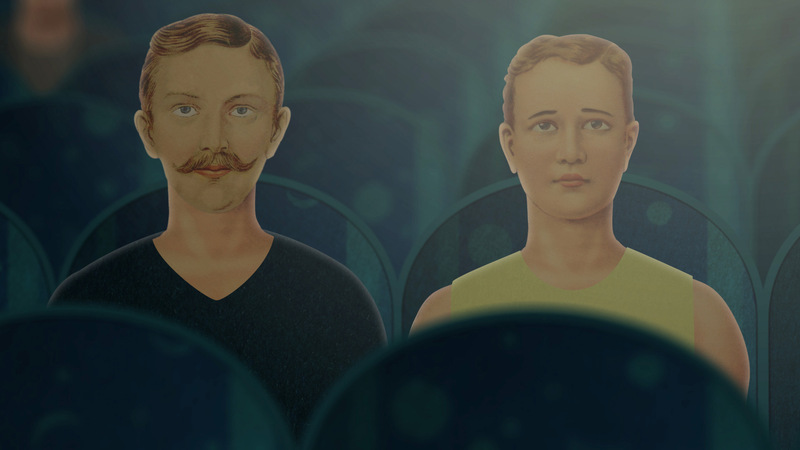 Hora is an animated documentary about the intimate but public habit of hand holding among gay men. It is based on interviews I held with men from my hometown Tel Aviv, some who are happy to be walking the streets holding hands and some who can’t imagine expressing that kind of affection in public. The idea came after I moved to a neighborhood populated by asylum seekers from African countries like Sudan and Eritrea. Seeing straight African men holding hands in public, in a neighborhood where Israeli gay men wouldn’t feel comfortable to do the same, made clear that there was a lot about this simple gesture to dig into. Questions arose of culture differences, public intimacy and the performative nature of living in a society. Questions arose of culture differences, public intimacy and the performative nature of living in a society. Since the film is a documentary based on people’s monologues, I began by interviewing friends of mine, people who I felt comfortable with, some who had experiences with hand holding and some who avoided it at all costs (the avoiders were actually the ones who had MORE to say). Topics that came up in those recorded conversations led me to other interviewees who I thought would have a unique perspective about the different aspects of hand holding. For example, in order to understand better the performative nature of hand holding in public, I talked with gay musicians and performers. To confront different types of hand holding, I spoke with a dancer (who admitted to hating holding hands in the street even though he has no problem doing it on stage), and a healer who’s used to touching people as part of his practice. I spent about a month turning the 8 hours of interviews into a guiding soundtrack for the film. The goal was to ensure the story worked even without the animation, like a short podcast. Editing conversations that were recorded with different people in different situations was like playing dominoes – which sentence would lead to which anecdote? How can people contradicting each other turn the collage into a conversation? Having a solid structure was necessary since I didn’t have the time to create a complete video board for the whole film. Splitting the narrative to chapters (geography, fear, performance, etc.) meant I could add a scene if I had some more time. In fact, the last two sentences in the film were added just a few days before completing it (the original ones didn’t have a strong enough emotional impact). The first scene, “showing” the recordings of the interviews, was the last to be made. Technically, it was a mixture of techniques: mostly 2D cut outs in a 3D space, combined with some live video and pixelation. The characters and objects are mostly vintage illustrations found on the web. The city of Tel Aviv is composed of photographs I took and colored in Photoshop. The scene in India is all made of ancient Indian paintings. Apart from preparing the layers in Photoshop, it was entirely done in After Effects, the one piece of software I really like. The entire soundtrack was composed on Cubase in about a week (again, the deadline…! ), by me and my band leader at the time Amit Erez (The Secret Sea), just jamming to the rough cut and trying to find the right atmosphere for every scene. All in all the film took about 7 Months to make. At the moment I am developing a full length documentary, not necessarily animated, but it’s too early to elaborate about that (there’s an evil eye!). And I’m working as a freelance animator/video editor, while trying to pursue new projects.